Sometimes, you just need a big, juicy burger. Add a tasty brew, and you’re on to something. Fortunately, the good people at JL Beers thought Grand Forks could use some more of the quintessentially American combo, opening up a location on S. Columbia road back in August. Fargo-Moorhead has three locations so it was about time we got included. The tall, skinny building seats only 47, so you might have to wait a few minutes. They do have a small spot right as you walk in where you can order and stand up to eat. The slender menu has 10 variations of burgers, but you can basically build your own if you like. The classic Original Hamburger Stand Burger and the Great American Cheese Burger are the less-adventurous options. Try a Columbia Burger or the Rajun Cajun to spice things up a bit. But, if you’re like me, you want something a bit different. That’s where the Humpty Dumpty comes in. Named such because of the fried egg that comes with it. Add bacon and you’ve got a breakfast burger that can’t be beat. I’d recommend raw onions and some cheese to round it out. I’d also recommend asking the cook to go easy on the egg and let the golden goodness mix in. Other variations are the Slaw Burger, BLT BLU and Philly Cheese Burger. I have my dinners set for weeks. A burger’s best friend, the fry, is fresh and crispy, but you can also get the house-cut and fried chips that are crazy good. Get the chipotle dip and add some sriracha, which adorns every table. The chips, beef, buns and chips are all fresh. I’ve as yet failed to mention the speed with which the cooks and wait staff work, especially the cooks. They crank out your order within minutes of getting it. You won’t be more than a few gulps in. And, it would be nearly-criminal to sidle into to JL Beers without ordering what the restaurant was named after: a beer! Over 40 beers are on tap. 40. And there’s a bunch of bottles and cans if you’re not feeling the tap. They’re organized easily on the menu and the beer list comes with succinct descriptions of the taste and aroma. If you’re feeling hoppy or just want a light lager, it’s easy to find what you’re looking for. There are beers on tap you can’t get anywhere else in town. Try the newly-added Leinenkugel’s Fireside Nut Brown or the good ole’ fallback Grain Belt Nordeast. Also available are beer cocktails or Beertails that combine a brew with a sweet-flavored ambic that’s pretty refreshing, but a bit too fruity for me. If you’re a sports fan, they’ve got a few flat screen TVs that look amazing. If you haven’t tried it yet, do so. It’s highly recommended. The people in Fargo who came up with the concept of JL Beers seem to have plenty of imagination. JL Beers is a quick, no-frills place to go for a hamburger. And if you are a beer drinker, you can find all kinds of choices. More than you probably could imagine. My mission was to study the place and try the hamburgers on an afternoon when I wanted to go very light on lunch. But first of all, you have to find the place. JL Beers is located on South Columbia Road, but you have to approach it from the rear on a back road that runs between 24th Avenue South and 26th Avenue South. And there it is — with a nice new parking lot — right next to Batteries Plus. The menu is short and sweet, with an original hamburger-stand burger for $2.99. The prices range up to $4.99 for burgers with more adornments. For instance, there is a JL Burger for $4.99 with grilled onions piled on cheese and a special sauce on two patties within the bun. The Columbia Burger for $4.49 has bacon, cheese, barbecue sauce and a hamburger patty with a barbecue rub on a freshly baked bun. And they tell me one of the most popular versions is the Humpty Dumpty Burger for $3.79. It’s made with cheese and a fried egg tucked inside a bun with the hamburger. Somehow, I never have considered tucking a fried egg into a hamburger. But anything is possible. The people in Fargo who came up with the concept of JL Beers seem to have plenty of imagination. They now have a store in West Fargo, N.D., and are opening one in Moorhead. 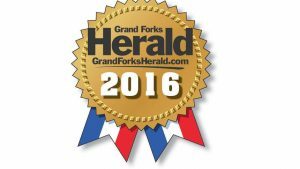 They chose a local person, Jon Wolfgram, to serve as general manager in Grand Forks. As I sat in the relatively new Grand Forks version of JL Beers — a small, compact place — I thought it was comfortable and quite sleek. The place is pretty much black and silver. There are 22 silver stools at the bar and seating for 30 at tables lined up along the wall. There also is seating outside for 20 when the weather is inviting. JL Beers fills up at noon, with people trickling in and out during the afternoon. I ordered the Classic Burger ($3.89), which featured a special sauce, lettuce, tomato and pickles. This, indeed, was a good burger. It came on a round tray with black-and-white checkered paper lining. I passed up the chips, but they were tempting. The service was lightening fast. They fix the burgers behind the bar on a grill that quickly cooks both sides. There’s no flipping going on here! I lingered long enough to taste the coleslaw and found it good enough but not as tasty as Kentucky Fried Chicken serves. In lieu of napkins, JL Beers has paper towels with decorative handles. You can help yourself. This makes sense to me and beats the usual flimsy napkins. I went back another day late in the afternoon. The place was fairly busy at 4 p.m., with a couple of beer drinkers at the bar and several diners at the tables. I ordered a burger to go. It took 10 minutes. And all the while, there was music by satellite in the background called Coffee House Rock. It’s a small miracle that the average college student in America consumes 34 gallons of alcoholic beverages per year (source: SADD), a number not miraculous in its surprising nature (surprising this fact isn’t) but in its obvious, mundane reality. Did I really expect, in a quick google search, to find that students drank any less? Of course not. 34 gallons split over a year’s 365 days comes out to just under 12 fluid ounces of booze a day, which doesn’t seem all that bad, considering the adages about a-glass-of-red-wine-a-day or a-glass-of-stout-a-day, and we can probably be presumptuous about the nature of college students and assume that a) their (our) drinking is limited to only a few days a week, and b) they (we) don’t all drink. So let’s say only 3/4 of college students drink (a fair estimate? I don’t know), and the drinks are consumed on weekends (Fridays and Saturdays) only. The numbers spike pretty sharply, I suppose, and we find that the students who do drink on these two days probably consume a lot more than our original estimate of 11.923 fluid ounces of booze a day. This leads me to a simple conclusion that has already been reached by anyone who knows anything about college: there’s a lot of binge drinking going on. That being said, if you’re going to drink (and this writer definitely takes no sides on issues concerning alcohol), you should drink something that tastes good, and, in that regard, the drinks at the newly-opened JL Beers certainly hit the mark. JL Beers, a restaurant that carries the sub-name “Great American Burgers,” recently opened for business here in Grand Forks on Columbia Rd (South) down by the Panda Buffet. The burger joint boasts seating for 1000 (and clarifies that, after an ellipsis, that’s only so long as they’re seating 47 at a time), and has both indoor and outdoor tables. The indoor seating is high and bar-like, with stools wrapping around the taps/flat-top grill and a few tables to the side. This layout replicates an earlier JL Beers incarnation (and the first one I ever visited) that sits in downtown Fargo. That JL Beers (still open and one of several locations in the FM area) is in an old brick building, and the narrowness of its dining area is out of necessity, probably—not stylistic choice. The Grand Forks location, though, is in an all-new building with red-brick-style and narrowness returning, and it works. There are a few tables in a patio-type area, and it was there that I sat with a few friends for dinner. The burger I ordered (which would have been cooked in front of me had I sat inside) was topped with pepperjack cheese and onions (my choice) and was only one of nine or ten different types of burgers available on the menu. I enjoyed it, being a person who enjoys classic American food like burgers and fries, but the real star of the show was the beer. JL Beers (unsurprisingly, with such a name) has 40 brews on tap at its Grand Forks location, and they aren’t all your run-of-the-mill draughts. Unable to choose between a Deschute’s Inversion IPA and an Old Rasputin Imperial Stout, I went with one of several “flights” offered by the restaurant: a series of five beers served for your tasting pleasure in glasses only a few ounces deep. I chose the “Tastes of the Season” flight, which included the Inversion IPA, Redhook Wit, and three other summery brews, and the beers did not disappoint. Overall, the atmosphere and food added up to a terrific experience. If you’re of age (no minors allowed! ), and you’ve got no beef with chowing down on a great burger from time to time, JL Beers brings the goods. Just be sure to bring ID and an appetite and, if you’re anything like me, leave the drinking statistics at home. 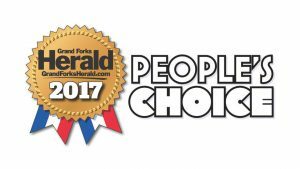 As the 2011-2012 school year begins, many new businesses and students alike are once again adjusting themselves to the Grand Forks community. 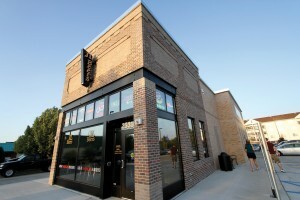 JL Beers, a bar located at 2531 South Columbia Road, offers a selection of 40 beers on tap, along with countless imported bottles from all over the world from Germany to China. You can enjoy a brew or a “beertail,” a drink with a blend of beers, with a few friends. One such beertail includes what JL Beers calls the “Dirty Red Hoe,” which is made with the combination of Breckenridge Vanilla Porter and a splash of Lindeman’s Framboise (Raspberry) Lambic. The fun atmosphere also offers nine different burgers on the menu all under $5, with an option of homemade chips and French fries. Posted on August 26th, 2011 by Reggietales – A look at the world from behind the news desk: The thoughts and observations of a TV news director. I waited an entire week before I darkened the doorway of the Grand Forks version of JL Beers. I think that showed incredible restraint and will power on my part. Because I knew it was going to be good. I just wanted to give them a chance to work out any kinks they might have been experiencing. I’m guessing there were no kinks because the place is awesome. With seating for 49, the layout is pretty much exactly the same as the West Fargo edition of JLB. The long, narrow building has the lights turned down low which gives it a nice pub feel. A long bar runs pretty much the entire length of the joint and is the focal point. And while the place is full of people, it didn’t seem crammed. It had a very lively vibe and some nice flat screen TV’s that are very easy to see in the darkened interior. There is also an outdoor patio with seating for about another 20-25 people located on the north side of the building. JLB is about the burgers and the beer. Does any more need to be said? I ordered the Humpty Dumpty Burger, which is cheese, a fried egg, and a hamburger patty. I added bacon, because…well…because it’s bacon. The fried egg reminded me of when I lived in Vancouver. That’s how we rolled up there. We put eggs on everything. I also ordered the Sea-Salt Fries. 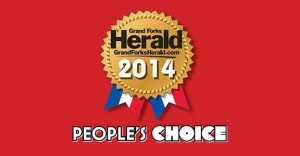 My review is this: It was the best burger I’ve ever had in Grand Forks. For the hearing impaired: IT WAS THE BEST BURGER I’VE EVER HAD IN GRAND FORKS. I’m not sure I have to go into much detail about it other than it was like having bacon and eggs on top of a cheeseburger. What part of that don’t you understand? And the fries were so good. Full disclosure: I ate some of Summer Sidekick’s chips (Buffalo Blu Chips, fresh-cut potato chips with blue cheese on them) when he wasn’t looking. They were really good too. If you like a place with really good burgers and beers from everywhere, then JL Beers is your place. Plan ahead and try get there during the off-peak hours. You’ll be glad you did. The south side of Grand Forks is growing with new restaurants and bars opening through the end of the year. JL Beers opened on South Columbia Road at 11:00 this morning, and they’ve been busy all day. The bar and grill is just one of many new and upcoming options for people in Grand Forks to enjoy. “We like to try a lot of different restaurants in town. This one opened up and we saw them getting it built and we wanted to come in and try it out,” Grand Forks resident Tim Vick said. Restaurant lovers like Geniece and Tim Vick will soon have more options for their dining desires. Ruby Tuesday’s, Olive Garden, Pizza Ranch, and the frozen yogurt shop Cherry Berry are all planning on opening along 32nd Avenue South by the end of the year. “I love Ruby Tuesdays, they have the best salad bar,” Robert Parsons said. “Oh yeah, more options is great,” Bill Dean added. The south side of Grand Forks has been growing the past few years and is attracting business owners to the high traffic area. “It’s just been a steady, full house all day, all this morning, so it’s been nice. We’ve had a lot of people that we know in the community come out and support us and try our food,” JL Beers partner Lance Thorson said. JL Beers features nearly 100 different varieties of beer, and the menu includes nine hamburger options, homemade chips and french fries. “There’s a lot of beer, it’s a great place for people who love beer,” Parsons said. “Oh it was awesome, really great. Delicious,” Geneice Vick said. Most of the restaurants opening soon in Grand Forks already have locations in Fargo. Before today’s dinner rush, JL Beers had sold more than 200 burgers and more than 150 tap beers. Final preparations are being made before JL Beers opens its doors Wednesday in Grand Forks. Construction of the grill and bar’s long brick building along South Columbia Road is complete, and staff will undergo final training today. “We’ve already had a lot of phone calls and people stopping by,” said Lance Thorson, a partner in the chain that also has locations in Fargo and West Fargo. “People on Facebook keep asking when we’re opening.” JL Beers offers about 40 different beers on tap, most from craft breweries across the country, as well as 50 to 60 varieties of bottled beer. The limited menu items include burgers and sides of seasoned potato chips and french fries. JL Beers is among a number of eating establishments expected to open through this winter in Grand Forks. Chain restaurants Olive Garden, Ruby Tuesday and Pizza Ranch and self-serve frozen yogurt chain CherryBerry are all preparing to open along 32nd Avenue South in Grand Forks. All either already have a presence in Fargo, or in the case of CherryBerry, are planning multiple Fargo locations. “Grand Forks is an hour away from Fargo,” Thorson said. “We thought it was the next logical place to go. I’ve noticed new franchises coming in with Olive Garden, Ruby Tuesday and Pizza Ranch. But I think there’s still room for growth.” In addition to the influx of new chain restaurants on the southern end of Grand Forks, East Grand Forks landmark Whitey’s will reopen under new ownership next month. Dakota Commercial and Development is seeking a tenant for a restaurant planned for the ground floor of the new Northern Heights at Griggs Square mixed-use apartment complex on the site of the former Civic Auditorium in downtown Grand Forks. Another chain, Dickey’s Barbecue Pit, has confirmed it is planning a restaurant at an undisclosed location in Grand Forks and another in Fargo. It wasn’t known when they might open. JL Beers is the latest restaurant with Fargo area locations to head north to Grand Forks, joining national chain Five Guys Burgers and Fries, and Big D’s Bar & Grill, which expanded to Grand Forks after opening its original location in Fargo. 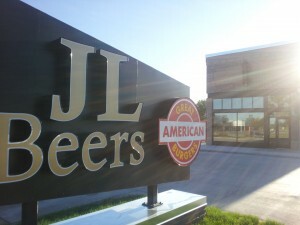 JL Beers, which is also opening a location in Moorhead, may open in the Bismarck market as well. The Grand Forks location will employ a mix of some 50 full- and part-time workers. It will be open seven days a week, 11 a.m. to midnight.